Having completed the 6 part series of The RAPTURE: The WHO and WHEN of it ALL, I decided that there were some loose ends to tie up, and points that could be honed to a finer point, and therefore prove useful for the reader. This article will hopefully provide these. In any view of eschatology, the two groups of people, namely Israel and the Church, will inevitably come up. From a dispensationalist (and this is a loaded term that can mean many things to different groups) view point there are many that make assertions as to the differences between these two that could be considered unwarranted, even extreme in light of the whole Word of God. Yet distinctions there are. These must be clearly understood, otherwise there will arise confusion regarding the applicability of scripture to the one group or the other. These finer points could take a seminarian years, even decades to delineate and understand their similarities and distinctions, and it certainly is not the purpose of this article to shed significant light on these matters in any exhaustive sense. It will be enough simply to show that Israel as a nation comprised of Jews, who are themselves descendants of Abraham, Isaac and Jacob, and then descendants of the twelve patriarchs (referred to as Hebrews and then colloquially as Jews [derivative of JU’dah]) are a people with whom God has established a covenant, that is the Abrahamic Covenant, to the land of Canaan and to “a seed” which intimates the Messiah via his son, Isaac. The other covenant was to King David, the Jewish King through whom the promise of the Messiah was explicit, involving the throne and government of Israel (thus the term “Son of David” which is an expression of the Messiah). There are six covenants in all. For a detailed examination of these, visit this page from www.doctrine.org. The other nation is that of the Church, but it doesn’t have a human lineage as does Israel. Christians do not beget Christians as Jews do Jews. The spiritual birth of the Christian is as a direct intervention of God’s Holy Spirit and His indwelling, thus we who are born again Christians are correctly referred to as “sons of God”. While Israel is promised earthly blessing and covenants, the Church is promised heavenly. Israel’s dealings revolve around the land, the city of Jerusalem and its kingdom; not so for the Church, whose dealings revolve around no earthly city or kingdom. Prophecy as laid down in the Old Testament explicitly reveals when the Messiah would come to Israel, and it was on that appointed day that the LORD Jesus, the Messiah rode into Jerusalem, being heralded as “the Son of David” by the people. Yet the nation had rejected her Messiah, and He was, as prophesied, crucified on the cross. There are those that assert that the promise confirmed to Mary, regarding her Son being granted the throne of David was broken when Israel as a nation rejected their Messiah, and that the promises that were given to Israel have since been granted to the church. This is heresy, and known as Replacement Theology. God’s promise granted to Israel are according to His grace and in His foreknowledge He knew that Israel would initially reject His Son, but He also knew that according to the prophetic Word which He Himself inspired, they would ultimately receive their Messiah upon His return (ZECH 12:10)! Prior to the cataclysmic but triumphant event of the crucifixion, the LORD Jesus began a re-direction for His disciples as a result of being rejected by national Israel (MATT 21:42-43). This re-direction was later amplified in the LORD’s command in the Great Commission in MATT 28:19-20: “Go out to ALL nations . . .” As a result there is now this nation, other than Israel, with whom God deals with, the church: 1 PETER 2:9. All the world in the Old Testament could be divided up into two groups: Jews and Gentiles. Ever since Pentecost and in today’s world there are three distinct groups: Jews, Gentiles and the church (which is comprised of both, but primarily Gentiles). The church is NOT an extension of Israel, as many believe, but an entirely new entity. The mystery of the church was not revealed in the Old Testament but in the New, to the apostle Paul in EPH 3:1-6, and was built by Christ Jesus Himself (MATT 16:18). Due to the fact that this world by and large rejects the Lordship of Jesus Christ, in favor of the ruling of their own lives, following after the rebellion of Lucifer who likewise spurned the Lordship of Christ Jesus from primordial times in heaven, they will all (Jew and Gentile alike) be judged on that basis (2 THESS 1:7-10). Yet this tribulation will have brought God’s chastening of Israel for rejecting her Messiah. This is quite a significant observation and one that must be considered as the criteria of who will face this incredible time of judgment as meted out by the Lamb of God in His wrath: those who have refused His Lordship. For this reason, we the church, who’s very Head, is the Christ, Jesus of Nazareth, the Son of God (EPH 5:23), and who has proclaimed Him as LORD will not endure this time period. We, whose righteousness is of Christ, will escape this time of judgment which is reserved for the ungodly, the unrepentant, and the unconverted. Yet if the judgment encompasses the entire world, where then will the church go to escape these things? How can we, who belong to the church, justify the hope of even escaping this time? Simply because the Lord told us so! It’s an interesting point of fact, that one initial action of State when one nation declares war on another is the removal of their ambassadors from the foreign land. Just so, when God prepares the world for judgment, He likewise will remove His ambassadors, that is, the church (2 COR 5:20). How then will the church escape these things? This is where the doctrine of the rapture enters in to the picture. As quoted in 2 PETER, God knows how to deliver the godly, and to reserve the unjust for judgment. This is demonstrated through out scripture: God delivered Enoch and Noah and his family, from the judgment of the flood, albeit by different means. Enoch was translated (raptured) from the judgment, not having seen it*; Noah and family were preserved through it (these then become types [models] of the church and the nation Israel respectively). God delivered Lot from Sodom and Gomorrah and the nation of Israel from the angel of Death in the Passover; He likewise delivered Daniel from the lions den and delivered his enemies there instead; also Daniel’s three friends were delivered by God from the fiery furnace established by Nebuchadnezzar for failing to bow and worship his golden idol. History tells us that the early church was spared in the Roman siege of Jerusalem, and its subsequent destruction by heeding the warning given in Luke Ch. 21. • The word for “translated” in the Greek is: metatithemi and it means “to transfer, to transport, to exchange, to change sides, carry over, remove, translate, and it can mean to “put in another place” or “to remove a person or thing from one place to another” and also “to change”. All of these renderings seem to suggest more than merely the passage of a soul in death, but an actual re-location of said person from the one place, to another place. Paul goes on to say that Enoch was “not found” that is, there were no earthly remains as is typically the case when one merely dies. Getting back to how the righteous are delivered from judgment, we likewise are those who are adorned with the robes of righteousness will be delivered from that time of supreme Judgment at God’s Holy hand. There are some that contend the reference found in 1 THESSALONIANS 4, refer to the resurrection, and have nothing to do with a supposed ‘rapture’ but this leaves a problem unsolved. Let us ask, what is the singular prerequisite for the resurrection of an individual to take place? The person to be resurrected must, of course, first be dead! If they are yet living, there is nothing to resurrect. Some might argue that this chapter in 1 Thessalonians as well as 1 CORINTHIANS 15 is a spiritual resurrection of all believers, living and dead, and yet this too is incorrect as all of us have had our spirits resurrected, that is, brought from the deadness of sin and death to life when we were born of God’s Spirit (COL 2:12-13; EPH 2:1,5-6). Thus this rapture of the church must be something more than just a resurrection as it involves the LIVING as well as the dead. It is a transformation, the putting away of the corruptible and the putting on of the incorruptible; this is experienced by all saints at the rapture of the church, both living and dead in Christ. In the six part series of The RAPTURE: The WHO and WHEN of It ALL, I had already laid out a comparison of scriptures that compare the LORD’s Second Coming to that of the Rapture of the Church, so I will not duplicate that here, but there are certain distinctions between these two events. Someone once asked Dave Hunt, Show me chapter and verse in the New Testament that reveals two comings; to which he replied, Show me chapter and verse in the Old Testament that reveals two comings: you can’t find it in the Old Testament. Yet by the whole counsel of scripture we perceive that this is the case, and when the Messiah came the first time, it was with His promise that He would come again. In the passage above, it clearly states that we who are alive and remain, will be caught up, that is harpazo in the Greek, which means a sudden, drastic taking away by great power. We are taken into the LORD’s presence, and yet our LORD Himself stated through the apostle Paul that “flesh and blood (that is corruptible bodies) cannot inherit the kingdom of God (1 COR 15:50)”. Obviously a radical transformation must take place for us living, in order to enter into the kingdom of God, and behold the glory of the LORD. In English, it’s stated as “caught up” and in Greek, its harpazo, and in Latin, its rapiere, which is where the term ‘rapture’ came from. We shall receive glorified bodies; this will conclude the eternal redemption that began with the redemption of our spirits, which were cleansed of sins deadly mark and brought to life (COL 2:13; REV 1:5). We are presently being redeemed in our souls or one could say, minds, as we increase in sanctification and in the putting on of the mind of Christ, putting on the new man, and putting off the old, mortifying the deeds of the body, etc (EPH 4:22, 24; COL 3:5,9-10; ROM 8:13). There is coming a day when that which was laid down by God as a down payment or “earnest” (the Holy Spirit; see EPH 1:14) will be completed, and our bodies, with their sinful nature and attributes will be utterly transformed. On and from that day forward, into eternity, we saints will no longer know the meaning, sensation or experience of sin ever again! No longer will we know the struggles against sin warring in our members. Our bodies will be holy, entirely lacking in any capacity for sin! This is what the latter half of 1 COR 15 is all about! What a glorious thing to think upon, and wonder at! This indeed, of itself will be a kind of heaven for us, will it not? A JIGSAW PUZZLE FOR JESUS CHRIST? There have been atheists and agnostics, and other sorts of skeptics that have raised the question about the missionary who goes to Africa to minister to cannibals, and he is killed, and eaten by them all. One of those cannibals is then eaten by a lion, another dies and rots in the ground (and the corpses composite nutrients feed a sapling that grows into a mature tree), yet another is burned to ashes in a fatal fire, etc, etc. How then is God going to resurrect that missionary since his body and all its cells are distributed throughout the entire African village and beyond? Its entirely feasible in my mind, that an Almighty God, who governs the path of every molecule as well as the red giants floating in the vast expanse of space, Who holds every atom together by the Word of His Power, and is aware of the number of hairs on every individual’s head, living on planet Earth, has likewise accounted for every cell of every believer who has died, and is well able to gather them all up and re-establish that saint’s body. Yet in all actuality, such wouldn’t even be necessary! What was Adam’s body comprised of, according to GENESIS 3? The dust of the earth! Well, if God so desired, He could scoop up some star dust and created glorified bodies for each of us out of that! Being intimately aware of our composite structure, down to the finest details, He could easily reconstruct any of us, in any glorified form He so chose! If He wanted to give us bodies made from diamonds, He could do so! If He wanted to give us bodies made of fire, He could do so! Can you justifiably put “God” and “difficult” in the same sentence?? That’s a rhetorical question, as the answer is obviously, NO! There is NOTHING too difficult for God, for He is the Almighty One! His power and abilities and Mind are far, far beyond us mortals of clay and finite spirits! We will have bodies to exist for eternity in heaven, but they won’t be earthly or natural bodies, but spiritual or supernatural bodies. They will be tangible, but shall enjoy abilities and mechanisms we don’t currently employ in the present models we now possess. Consider the LORD Jesus Himself, after His resurrection, in His own glorified body, the “first begotten of the dead”: He routinely ate fish, bread, honeycombs, etc. His followers, the apostles, reached out and handled Him and saw that He was “flesh and bone (note – not flesh and blood; see LUKE 24:39 and 1 JOHN 1:1)” and yet He could pass through walls, or appear in the midst of a room while its doors and windows were closed. His glorified body also retains the scars He won at Calvary, those emblems which we shall forever behold as trophies of triumphant love on our behalf! The only man made thing in heaven will indeed be the scars on the Lamb of God! Until that Blessed Day when the LORD “rends the heavens” (ISAIAH 64:1), and comes down to take His Bride away with Him, we must persevere on this rebel planet of sin and darkness, living our lives in the holiness provided for every believer through Jesus Christ, and shining as faithful witnesses to a dying race, whose only hope resides in the One that left heaven to die on that cross at Calvary. What will this mean for Christians today, in America? If the rapture happens later, rather than sooner, I believe we will see a time in this nation, as almost any other nation has already seen: when the church is persecuted for righteousness sake. 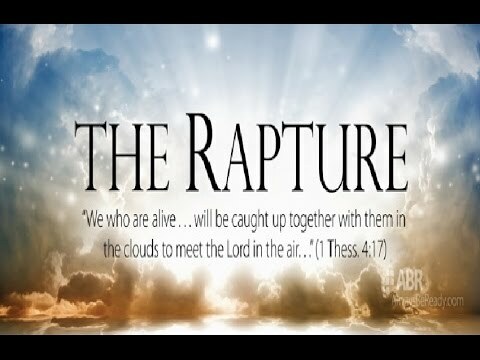 Some critics have claimed that those who teach the hope of the pre-tribulation rapture are leaving Christians unprepared for the possibility of the coming persecution of the Tribulation period. However, in thirty-five years of being taught Bible prophecy, I have not witnessed any pre-tribulation Rapture teachers instructing Christians that they are immune from end-time persecution. REVELATION 3:10I also will keep thee from the hour of temptation, which shall come upon all the world, to try them that dwell upon the earth. The second and more important reason why some are teaching that the Church will be present during this terrible time is the failure to distinguish between God's plan for Israel and His plan for the Church, especially in the prophecy revealed by Christ in MATTHEW 24. If you had told one of the disciples during the week before Christ's crucifixion that someday there would be an organization based on Christ's teachings, called the Church, and that 99 percent of its members would be uncircumcised Gentiles who would follow neither Jewish law nor offer Temple sacrifices, he would probably have fallen off his chair in shock and disbelief. One of the classic mistakes in interpretation is to take this conversation between Christ and His Jewish disciples concerning the messianic kingdom and read back into it the reality of the Christian Church which did not come into existence until the Jews rejected Christ and God breathed life into His Body of believers. The Bible describes many Tribulation events that must occur prior to the "gathering" of the Tribulation saints and thus, it cannot be correctly described as "imminent . . . many scholars believe that this "gathering" is a different event than the "Rapture". However, when we turn our attention to the coming of Christ for His Church, we find that there are no warnings or signals given to indicate the time of the Rapture. The Rapture can literally occur at any time. The third reason post-tribulationist writers have attacked the pre-tribulation Rapture doctrine by claiming that it cannot be true because no Church writer or Reformer ever taught this doctrine until approximately 170 years ago until it was introduced by John Darby, a Plymouth Brethren. 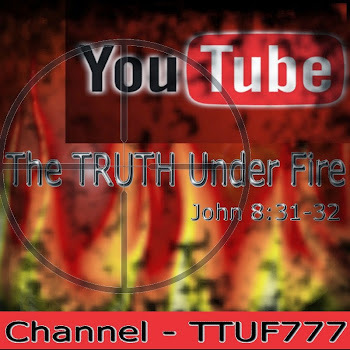 Their argument that no one ever saw this "truth" throughout eighteen hundred years of Church history has been very effective, causing many Christians to abandon their belief in the pre-tribulation Rapture. The only problem is that their assertion that no one in the early Church taught the pre-tribulation Rapture has been found to be incorrect. I pray that this article has been useful to you and might shed a bit more light and understanding for you regarding the rapture, as well as the church and Israel. For more about this topic, watch this video by the late Chuck Missler of Koinonia House ministries (Note: We at TTUF do not necessarily endorse everything as taught by Dr. Missler). May the LORD Jesus bless and keep you in His Love, Truth, Grace and Peace until that Blessed Day, Amen! The Lord must surely bless you in this wonderful mission that you are in, and so do I. 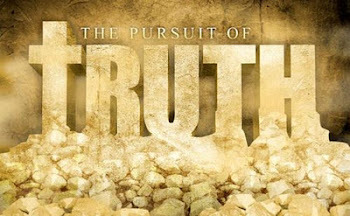 Please see "Pretrib Rapture Scholar Wannabes" (Joe Ortiz's END TIMES PASSOVER blog, Sep. 4, 2011).